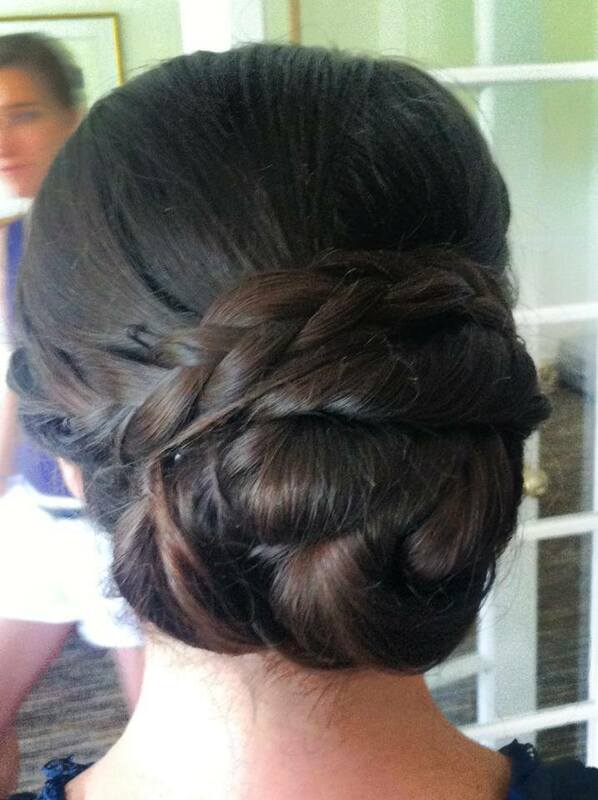 The bridal bun is one of those hairstyles that is fairly common, and can be considered a ‘classic’ for any wedding! 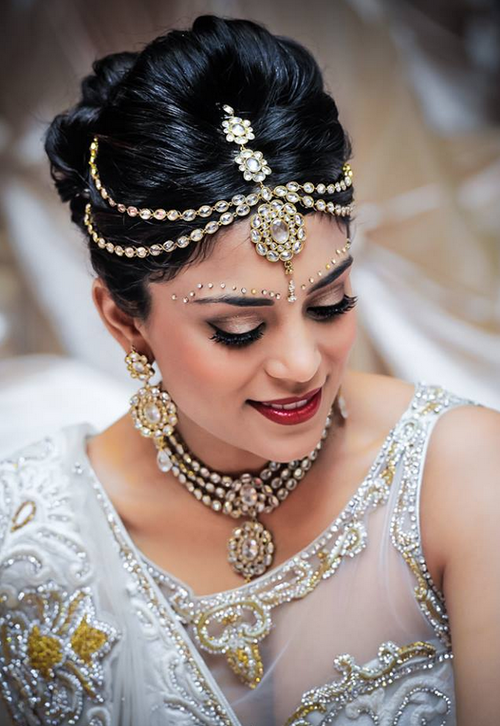 Indian brides ideally need to cover their head with a dupatta, which off late, is made from a netted fabric. 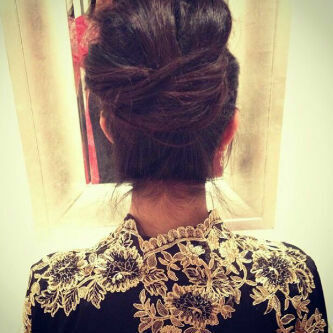 So the bun needs to be pulled together tight and made very neat as it’s going to be visible through the dupatta. One can give a middle parting to the front hair or back comb it to get a fluffy hairdo. 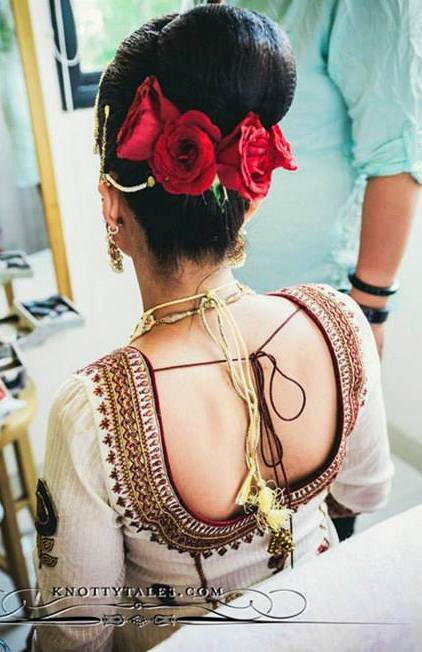 This is also one of those hairstyles where a bride can easily place the maang tikka in the center. 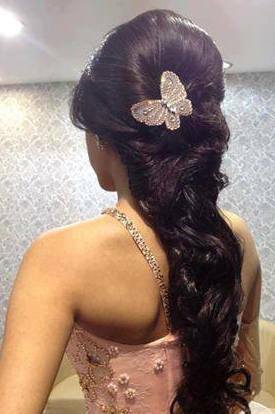 Accessorizing around the bun with gorgeous hair accessories or fresh flowers looks very rich and can elevate it to one of the best Indian hairstyles. 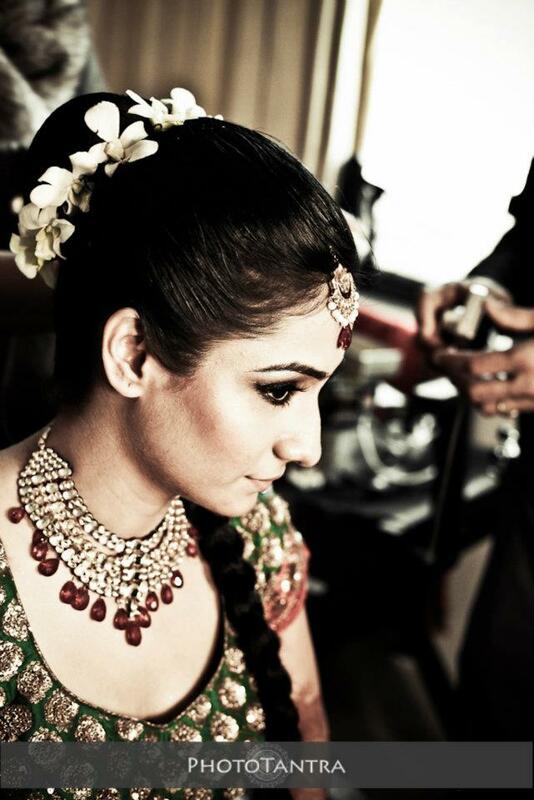 Braids have been the traditional Indian bridal hairstyles since years and still looks lovely on any bride. 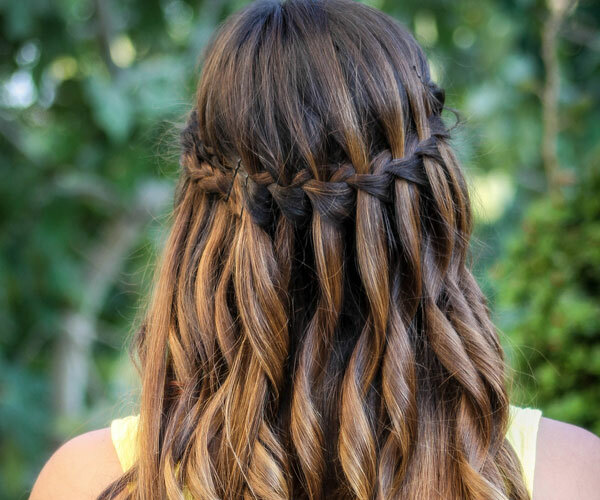 Over the years there have been modifications to the simple braid, for the better! 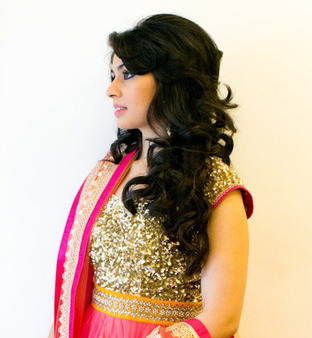 Fishtail braids and waterfall braid are very popular now and look very elegant on Indian bridal outfits. Braids look great on brides with medium to long length hair, but others can very easily add some hair extensions to achieve the same hairstyle. 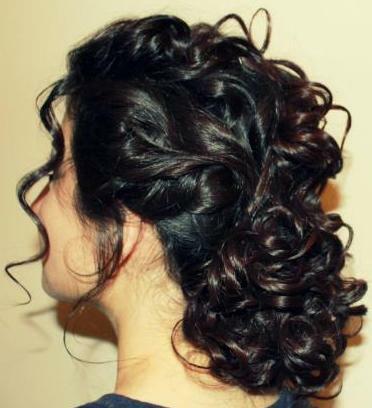 This is a one of those spicy hairstyles that I would myself love to try! 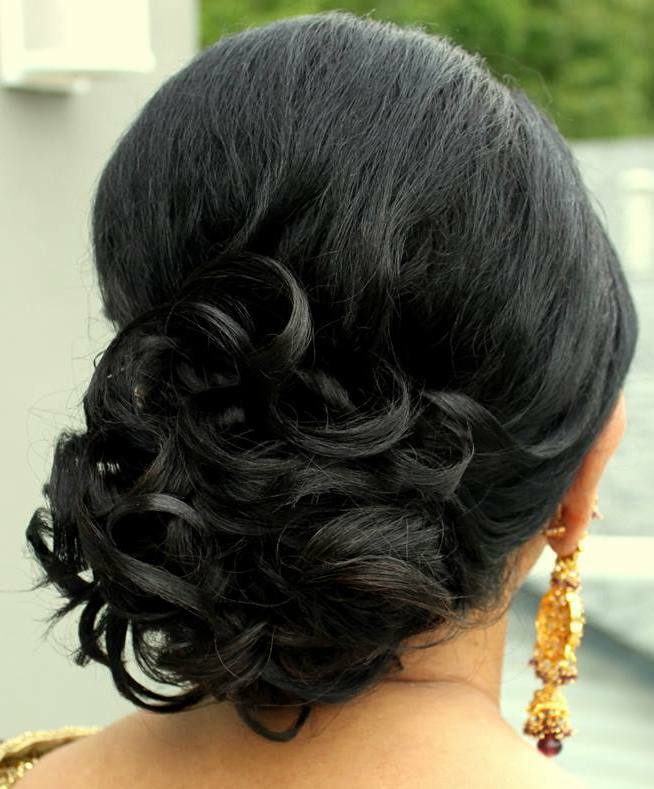 A twist to the normal buns are the messy, not-so-perfect buns which look stunning for a sangeet ceremony. 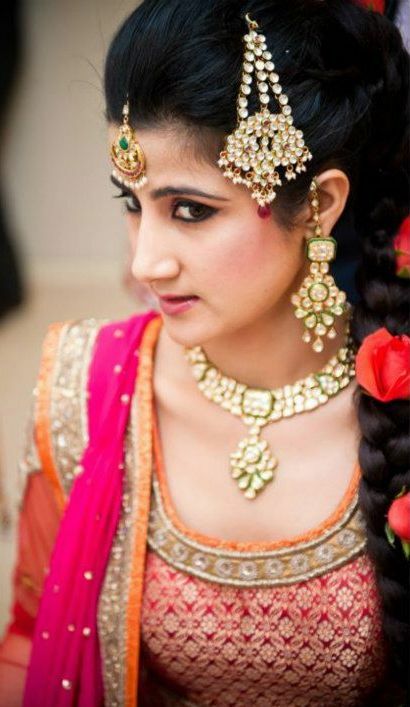 Brides who do not have to cover their heads on their wedding can opt for these options too. They are different, elegant and add some softness to the face with some curls and strands left on either side of the face. 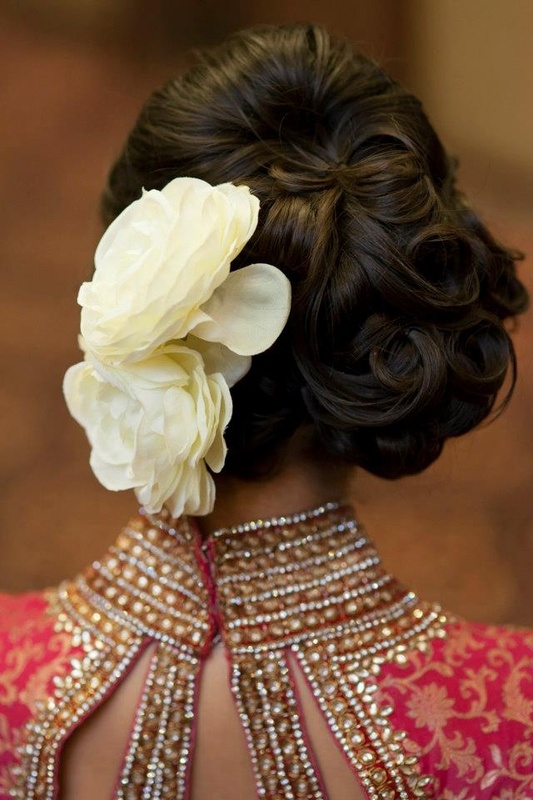 Adding some real flowers on one side of the hair will make this one of those hairstyles that really stands out! 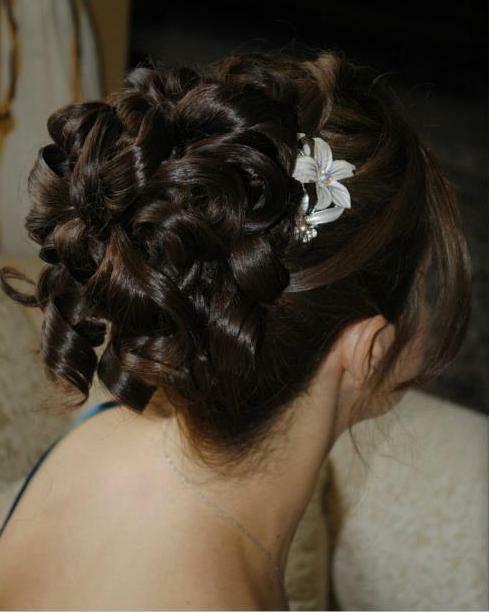 What do you think about these bridal hairstyles? 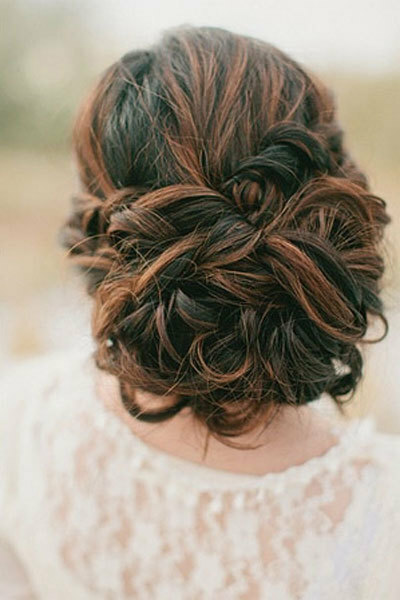 Would you try any of these hairstyles at your wedding? Do comment and let me know! very nice hairstyles. can you tell something for someone who has curly hair falling till shoulder? I have very thin hair but want a beautiful hair style for my relatives wedding. I am wearing a lehnga. Plz suggest. You haven’t mentioned the length and texture of your hair (straight, wavy or curly), so I am suggesting things in general. If you have straight hair, make a side parting and add a fancy pin to hold the hair to one side. It’s super simple and easy. If you could get your hair randomly curled yourself or at the salon and just before you go to the party, run your fingers through the hair and open out the curls a little bit, your hair would look fuller with some waves. In case if you’d like to tie up your hair, make a messy bun with a few strands of hair falling over your face. Finish off with a hair accessory over the bun or on the side. Hope this helps. Have you had a look at these two articles? 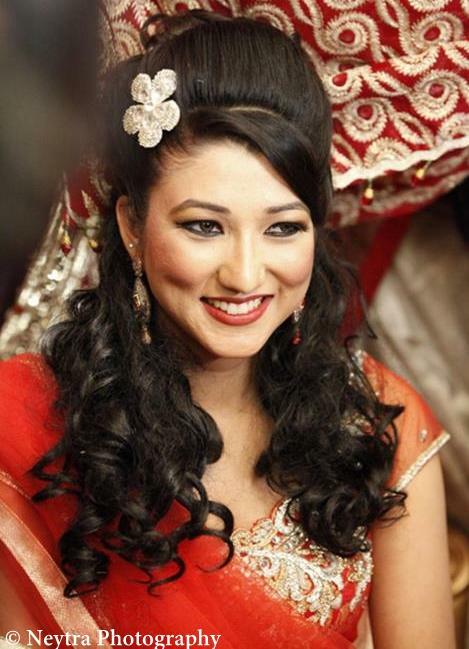 https://zuri.in/2014/05/29/indian-bridal-hairstyles/ and https://zuri.in/2013/11/24/15-hairstyles-for-long-hair/ You will definitely find something useful from these.